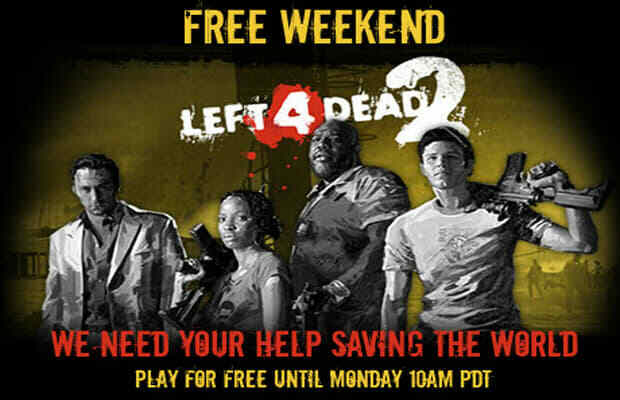 Valve has announced via the Left 4 Dead blog that Left 4 Dead 2, the fast-paced, cooperative zombie shooter sequel, will be free-to-play starting Thursday and lasting until Monday at 10 a.m. Pacific time. What better way to celebrate the coming of Halloween than by blasting a million zombies with some friends (or strangers)? New players can head to Steam now to begin pre-loading the game onto their PCs, while the blog post suggests the seasoned veterans get ready to help the newcomers survive (doing so will also net the new "Good Guy Nick" achievement). If by help them, they mean troll them endlessly and laugh at their ineptitude, then yes, that&apos;s probably what will happen. Nevertheless, if you haven&apos;t yet enjoyed the chaos of Left 4 Dead 2&apos;s multiplayer then this is the perfect opportunity to jump in and get some practice for the real apocalypse. If there are really only going to be four survivors, you&apos;re going to want to be one of them, right?